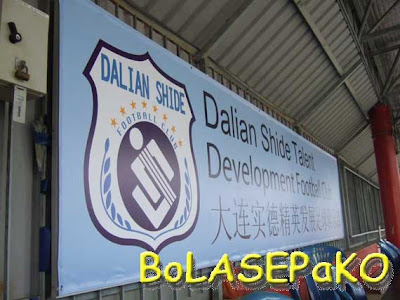 BoLASEPaKO.com - a simple view on Singapore Soccer: Lack of SUSTAINABILITY resulted "SKEPTICISM"
Lack of SUSTAINABILITY resulted "SKEPTICISM"
When I first came to know about the series of changes that are going to be implemented (source: 1, 2) next year, I told myself to remain as calm as per norm as possible. It's pointless to join the growing number of folks, who are out there increasingly losing faith in the league, in unison to give it a dressing down (also because I am tired of it, too). Why blame those disillusioned folks for having those negative mindset when first told of the changes? Year after year, with various initiatives and introduction of new teams that barely sustainable have more or less sow that sense of "skepticism" among the followers. Questions were asked how teams like Dalian got through? While it is confirmed that the composition of the league will remain thirteen teams like this season, recent memories of those "one-season team" of those Chinese-based sides still linger in many minds that if the stringent criteria is in place why Liaoning Guangyuan, Dalian Shide Siwu, etc. called in a day after a season? 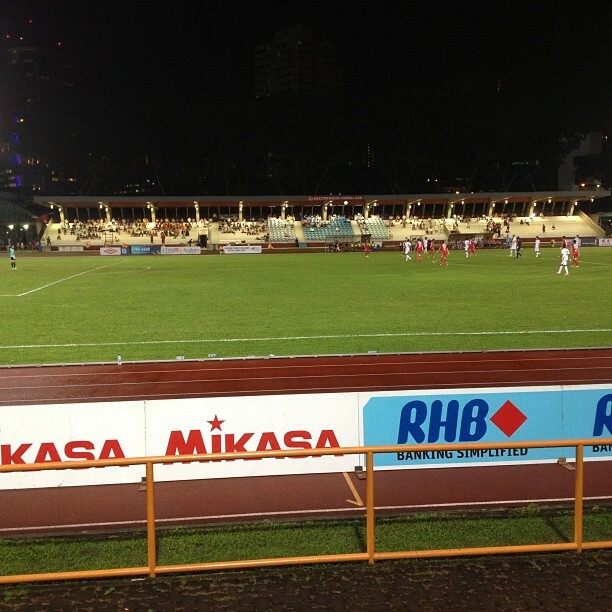 After all, the pulling out and naming the replacement of sides has been the source of most grievances that resulted in late release of fixtures that subsequently denied existing clubs in planning their season ahead and that eventually escalated into issues such as poor showing and lack of proper exposure on international levels by those clubs representing Singapore in the continental level. 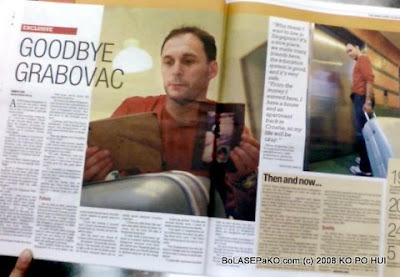 Of course, with the replacing of the "beeper" with the 2.4 km run would be something welcome by many, as had we not seen in the past of those like Sead Muratovic and Mirko Grabovac's S.League career put to a halt because of the stringent passing mark? Still, we must also ensure the concession granted with the less rigid physical requirement must not see the fitness level of players being compromised. 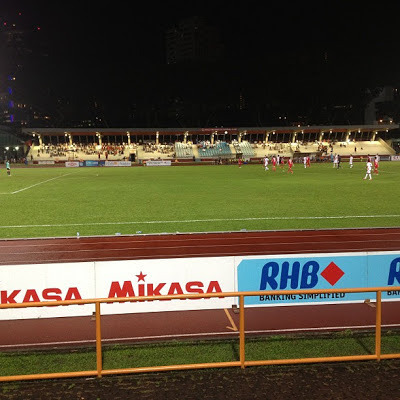 But with the likely increasing number of import of five players to be allowed in each eligible team for the coming season did raise a concern with some, who fear that it will see less of local-born youngsters being given a proper grooming stage if the new quota imposed next season. 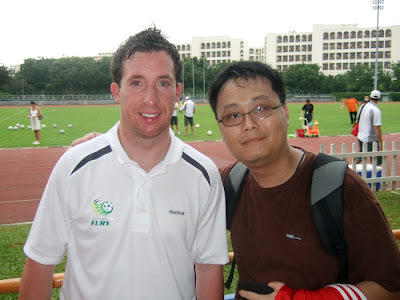 With that aside, I guess the more worrying would be the proposed signing of "marquee" players who not only don't come cheap, but also the fear of having a similar "Fowler" episode that was well documented while he was with TPL side Muangthong United, to replicate here. The signing of "marquee" will see gates will swell when big names come and play, but how can we made use of these "marquee" as an effective catalyst to place everything on a correct path? Frankly, I wish to be upbeat about those announced initiatives, but having those events that led the run-up of late, I can't bind myself for not sharing my concerns. Like mentioned, the sense of "skepticism" that accumulated throughout the years that witnessed those unsustainable initiatives did no favour in winning back the crowds to the stadiums. As much as I would like to ask "If we are all ready to go for the next season?" 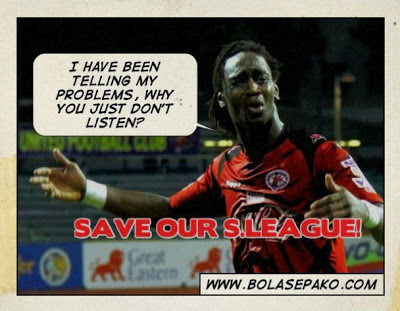 "Years of witnessed much of those unsustainable gimmicks and I can't be blamed for being skeptical when any newer ones are proposed :)"
Seriously fas and s league management is a joke. They have already ruin the league more than enough by introducing foreign teams to deny the country a true domestic professional football league and now they even come out with fines on bottom 2 clubs. Seriously zainulddin should step down his post as he and his predecessors Mah Boe Tan and Ho Peng Kee have been ruining Singapore football more than enough.